Poll: Young adults support Greens or NCP, future of SDP "at great risk"
Polls suggest 20 percent of 18-34 year olds in Finland support either the Green Party or the National Coalition Party. Professor Heikki Paloheimo says the Social Democrats face a decline. Figures from the Finnish public broadcaster Yle's latest monthly poll of political party support in Finland are clear: respondents between the ages of 18 and 34 support the Green Party or the centre-right National Coalition Party (NCP) by over 20 percent, with support for Finland's other seven parliamentary parties trailing behind. This diverges significantly from the general results of recent March and February polls, that show the NCP and the Social Democratic Party (SDP) vying for top spot, with the Greens in fourth place overall. Among the younger voters responding to the poll, SDP support was down nine percentage points to fifth place, while the Greens gained almost the same amount of support in return. Differences in the other parties' support levels are far less noticeable. The Green and SDP party secretaries have contrasting responses to the results. "Research across the board has shown that we have long had things on our agenda that are important to young people. These include environmental protection, education, and the prevention of inequality and poverty," says Green party secretary Lasse Miettinen. "Maybe on average SDP is the kind of party that people start to support at a later age. These are very black-or-white times, and we haven't released that many statements," says the SDP party secretary Antton Rönnholm. Studies show that young people are still very interested in social issues and possess strong values, but are more distrustful of institutions. "Young people are reluctant to join in activities that are tied to traditional, rigid organisations like those representing the political parties," says emeritus political sciences professor of the University of Tampere Heikki Paloheimo. Membership in political parties in Finland has dropped by 350,000 in the last four decades, according to Paloheimo. He says younger people that want to make a difference are now more likely to take a more direct and quick course of action, such as signing a petition or adding their name to a citizens' initiative online. "This has become a clear alternative to traditional means of participation like voting and party support. It began already in the 70s and 80s, when young people were active in protests and demonstrations. Social media has started to take the place of these older forms of protest," Paloheimo says. Another piece of the puzzle is the dwindling role of politics in family interactions in Finland. Studies have found that only one in three young people today are aware of their parents' political leanings because those things aren't discussed in the home. In the 60s, two-thirds of the younger generation knew their elders' political allegiances. "This has been an unbelievably big change. Politics aren't a part of people's everyday life anymore, like they were 30, 40 or 50 years ago," Paloheimo says. The same March 2018 Yle poll that suggests that young people support the Greens and NCP also shows that the older generation favours the SDP by a large margin. A healthy 27.5 percent of Finns aged 50 to 79 support the historically labour-friendly party, leaving the second place conservative NCP over seven percentage points behind at 20.5, and the Centre Party's brand of regional politics at 19.3 percent. The Greens gain just 7.4 percent of the vote in this age bracket. "It just shows how young the party is. For young people who have lived their whole life with the Green Party as an option, it is seen as an entirely different kind of alternative," says Green Party secretary Miettinen, referring to the fact that the Green Party in Finland was founded just over 30 years ago, in 1987. But what about the future of the SDP in Finland? What if young people never come around as voters? "I would say that the SDP is at great risk, as support will decline in the long, or not so long, run," says Paloheimo. The party secretaries do not take such a glum view of the situation. "On average, people are much more fluid in their voting habits that they used to be. Remember that a full 40 percent of respondents to party support polls will not commit to saying which political party they support. 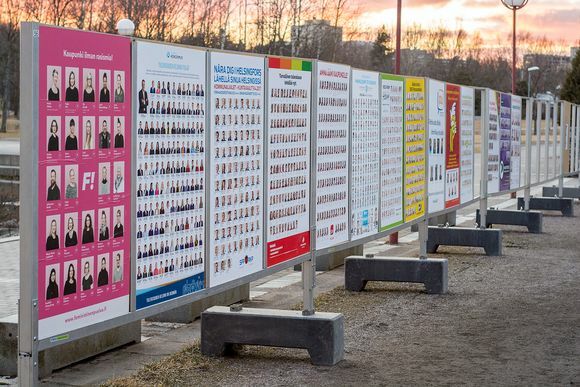 The idea that a particular age group automatically votes one way or another is just not true," says the SDP secretary Rönnholm. "People's trust has to be earned over and over again in politics, no single party can rest on their laurels and say that things will continue to go well," agrees the Green secretary. Things in this respect have changed quickly. Up until just 20 years ago, Finland was considered a "static political system", where voters tended to support the same political parties come rain or shine, down through the generations. The January 2018 presidential elections were the latest indication that this time-honoured tradition is on its way out. Traditionally strong parties like the SDP, Centre Party and the Left Alliance each received less than five percent of the total vote, after independent candidate Sauli Niinistö walked away with a landslide victory. Esperi Care hit the headlines recently after a welter of complaints came to light. MPs returned to work on Tuesday after the election and the Easter break. Weather instruments showed a temperature of 20.2 degrees Celsius in Northern Ostrobothnia on Tuesday. Finland's birth rate has been dropping for nearly a decade, but donor-based fertilisation treatments are not handled by its public health care system. The trial of a suspected child abuser began on Tuesday in Oulu.